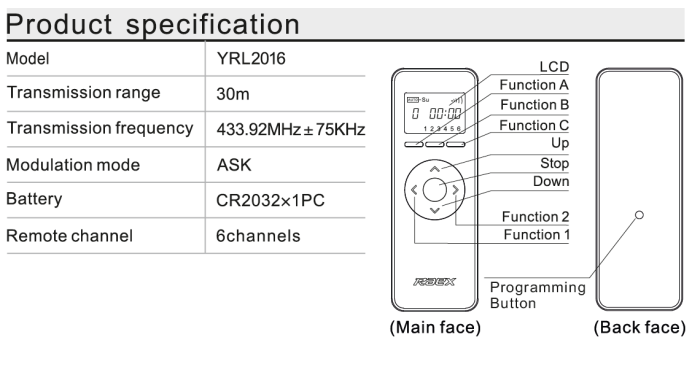 The YRL2016 Remote Control Radio Handset is more the just a remote control. It also offers security and peace of mind with its built in Timer functions. Up to 12 Timers can be set to open and close your Blinds and Curtains while you are on Holiday at work or even for the management of building temperature. The Handset has 6 channels to control multiple window dressings with the option to group several blinds on to 1 single channel and operate multiple blinds at once.